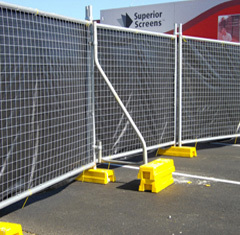 TFH Hire – Newcastle Temporary Fencing is committed to providing quality temporary fencing to suit your needs. You can hire temporary construction fencing for all types of building and maintenance works, including: Civil, Commercial, Industrial, Demolition, Compounds, and Multi Unit Developments. 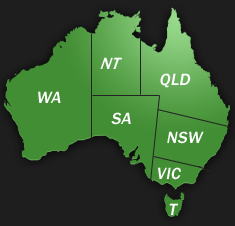 At TFH Hire – Newcastle Temporary Fencing, we service all Newcastle metro areas and surrounding suburbs and our temporary fencing systems fully conform to all government, Workcover and council legislation requirements. Temporary fencing is the best way to secure your commercial building site and TFH Hire – Newcastle Temporary Fencing has all the products to suit you fencing needs. At TFH Hire – Newcastle Temporary Fencing, our temporary fencing systems are easy to install and will ensure that your site complies with current health and safety regulations. Our friendly staff will be happy to answer your questions and advise you on the best products available to you. Get an online quote or give us a call today for more details. Our next day delivery will ensure your site is secure from the get-go!